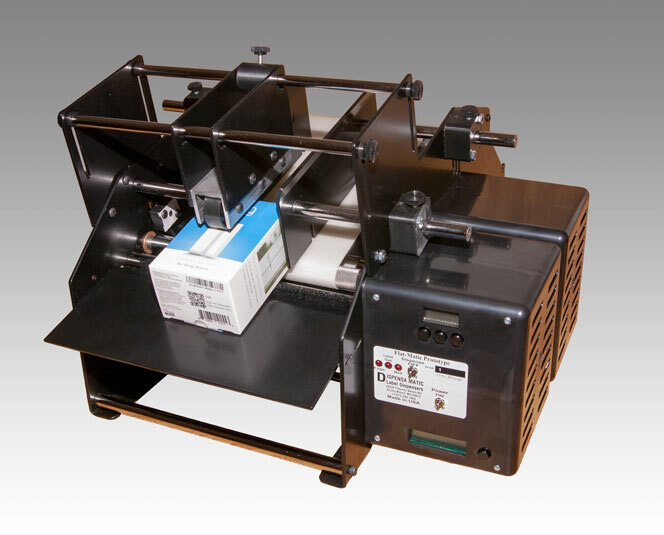 Bottle and Cylindrical Label Applicator for .5" to 6" Diameters! Label flat objects up to 1/4" thick! Optically sensing and includes all options! Bottle and Cylindrical Label Applicator with Optical Sensor for .5" to 8" Diameters! Optically sensing, and includes all options! Label flat objects up to 1/4" thick. Flat-Matic (Optical Sensing) Desktop Semi-Automatic for labeling Flat/Square containers. Label containers from 1/4" to 4 1/2" tall with ease using thin labels.